Weapons are not the causes but the consequences of conflictive relations. A historical survey of the arms race indicates that during the past two centuries this form of international competition often ends peacefully in recognition of the military superiority of one side or the other. Countries which have no adequate defense tempt aggressors and therefore preparing for war is the best way to achieve peace. Arms and arms races are costly and potentially very bloody. Arms reduction can curtail defense burden and allow economic investment for more productive purposes. The unchecked growth of armaments without economic means can lead to internal repression and external aggression. Arms reduction implies partially disarmament based on mutually agreed set of arms levels between given groups of nation states. Arms limitation includes a wide variety of international accords to limit impact of potential wars or to prevent their accidental outbreak (exchange of information to prevent misunderstanding or banning acquisition of particular types of weaponry). Disarmament attempts can be traced back to the Treaty of Westphalia in 1648, which stipulated against the need for building fortifications. In 1816, the Czar of Russia proposed to the British government the reduction of armaments, a call that was not well received however. In 1863 and in 1869, France made similar calls for disarmament in Europe, but it too was ignored. In 1898, the Tsar of Russia called on European powers to gather at Hague to discuss disarmament, a suggestion which was well received, leading to the First Hague Peace Conference attended by 28 states. In 1907, another conference was held at the Hague for the same purpose. Both conferences called upon military and naval experts to propose reducing military expenditures through disarmaments, but the major powers were not ready for such moves in practice. The devastation caused by WWI impelled statesmen of the world to give serious thought to disarmament. Woodrow Wilson in one of his famous fourteen points asserted armament should be reduced to „the lowest point consistent with domestic safety‟. The Treat of Versailles (1919) also recognized that „the maintenance of peace requires the reduction of national armaments‟. The League of Nations was given the specific duty to secure a general agreement on disarmament and the covenant of the League stated that only those countries will be allowed membership who accepted the proposed agreement. A permanent advisory commission was established in the League, but being comprised of military personnel, it failed to make much progress in a path of disarmament. The Council of the League appointed another commission in 1920, the Temporary Mixed Commission, with a fixed four year mandate and comprised primarily of civilians. This temporary commission of the League was asked to identify limitation of land and naval forces for various countries according to their national security needs, the commission also proposed compulsory arbitration and proposed international aid to victims of aggression. Unfortunately, the commission’s recommendations were not accepted by members of the League of Nations. In 1926, the League set up another preparatory commission for disarmament which prepared a draft of a treaty considered at the Geneva conference of the League in 1932 by 61 states. Discussions on this draft continued for 2 years but then the Japanese attack on Manchuria and the German withdrawal from the treaty in 1933, dashed the hopes for disarmament. The devastation unleashed by WWII again led to calls for disarmament. 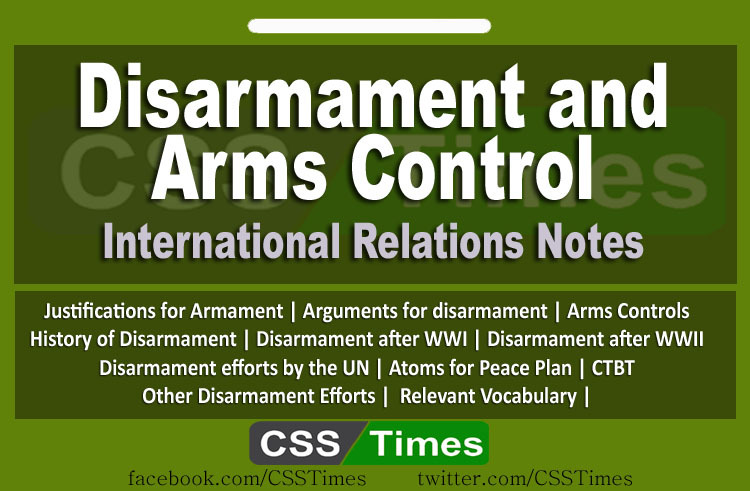 The UN charter laid much emphasis on the need for disarmament. The UN established a Military Staff Committee to assist the Security Council to regulate armaments and explore means for disarmament. The UN established the Atomic Energy Commission consisting of all five Security Council members and Canada. The Commission was meant to explore mechanisms for peaceful transfer of nuclear technology, to identify safeguards by way of inspections for compliant states to prevent hazards of violation and to eventually work towards elimination of nuclear weapons. While both superpowers agreed to cooperate, their divergent stances (the US arguing that control take precedence over disarmament and the USSR arguing the reverse) on the Commission goals led to its ineffectiveness. The General Assembly of the UN also established a Commission on Conventional Armaments, which also felt victim to Cold War divergences, ultimately the USSR pulled out of both Commissions due to China‟s representation on them. In 1953, President Eisenhower of the US proposed establishment of a pool of fissionable materials donated by declared nuclear states to the Atomic Energy Commission, which could be provided to other countries strictly for peaceful purposes. The Soviets opposed this plan arguing that an agreement on prohibiting nuclear weapons was first necessary prior to disseminating nuclear technology. 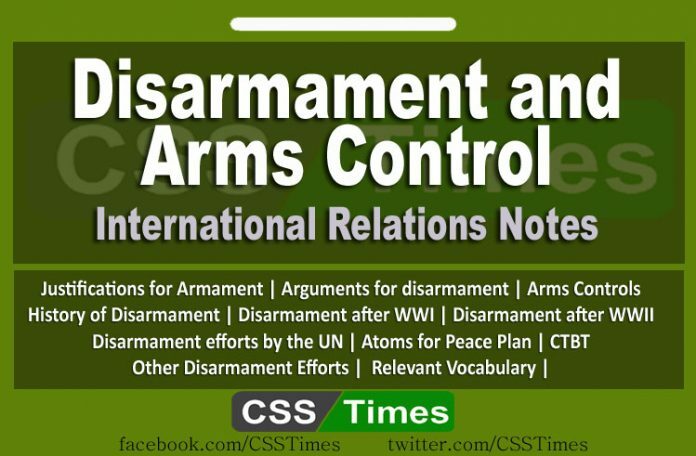 Many disarmament and arms control efforts were undertaken through bilateral means between the two superpowers, the biggest proliferations of armaments in the post-WWII period (NTBT, NPT, SALT I and II). The six nation summit held in New Dehli in 1985 is indicative of the growing concern amongst developing countries about arms race, particularly nuclear weapons (Ironically, India too is now a declared nuclear state). The NTP review conference was held in Geneva in 1995 which recommended infinite extension of the NTP. 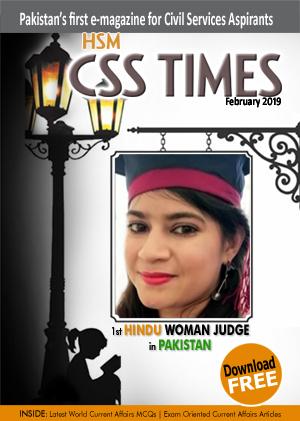 Israel, Pakistan and India were criticized for not acceding to the NPT nor to the subsequent CTBT, which even forbids tests required for developing nuclear weapons. Even France signed the CTBT after conducting its last nuclear test in the South Pacific. India and Pakistan remain reluctant and argue that the advanced nuclear states can keep their weaponry safe and updated by tests stimulated in lab settings.